If you thought the movie Anonymous was a fresh and original take on the man we know as Shakespeare, you’ll be interested to know that it was a road – though less travelled – paved long before. 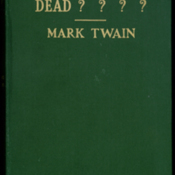 Mark Twain, one of our country’s most celebrated authors and humorists, lends his characteristic wit to Is Shakespeare Dead??? in which he posits that Shakespeare works were…not by Shakespeare. 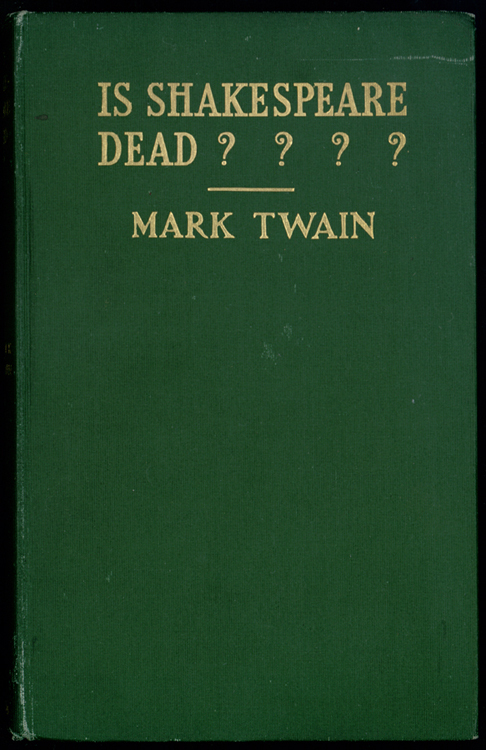 Twain, Mark, “Is Shakespeare Dead??? ?,” UM Libraries Digital Exhibits, accessed April 22, 2019, http://scholar.library.miami.edu/digital/items/show/506.